Today was the expiry of the January series. Took 4 trades - all losses today. This series has been good overall. I have been able to earn 402 (gross) points from 50 trades in this series. 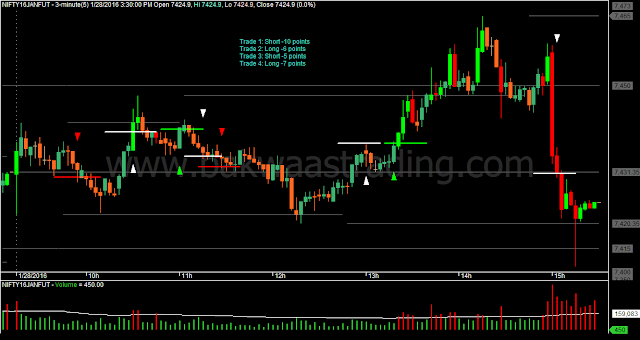 For most of the series, I followed the Range Compression Trading System on the M15 charts. In fact, I have not done any changes to this system since January 8. Trade entries are discretionary based on small M15 bars. Stops are mechanical, and are deliberately wide. That is a kind of a record for a System Hopper. In fact, I also attempted to capture the spirit of the system in Trading System Rules. All that's only because the Trading System hasn't had a major drawdown yet. Now, that we are on the other side of the hill, things could be different. 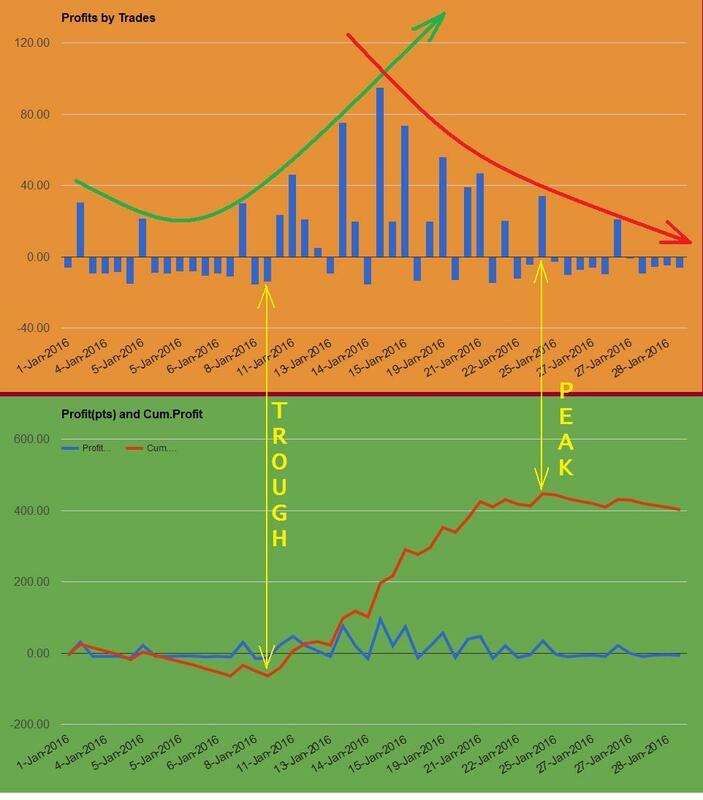 Look at the profits per trade - it was increasing until the middle of this month, and then kept decreasing and has been negative for the last 2 days. There seems to be some problem in getting the interactive data in the Trading Stats page. For now, I have pasted a few screenshots on the Trading Stats page.